Westworld season two ended almost five months ago, and we’ve had a surprising lack of news about its third season. 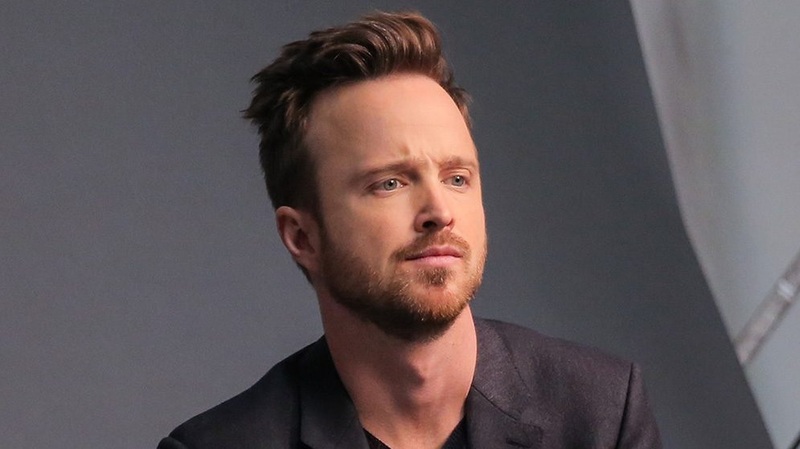 One person who has given us information (however vague) is new cast member Aaron Paul. He recently spoke with Entertainment Tonight, and – while he wasn’t forthcoming about his role in season three – he did reveal when production would begin! While promoting his upcoming film, Welcome Home, Paul stated that filming on Westworld‘s third season would begin next year. 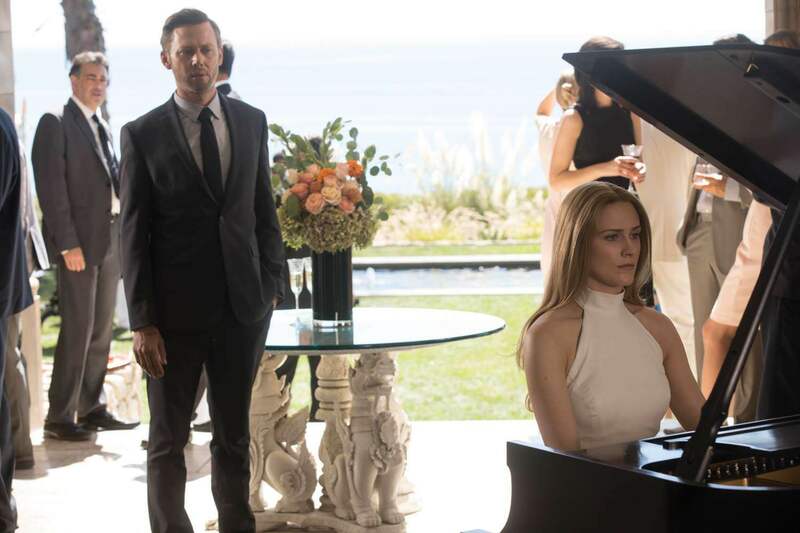 “I haven’t read any scripts, but we don’t start ’til next March, I believe, March or April, but what they told me about the world and this person, it was very exciting.” It’s possible that we may see Westworld return to our screens in late 2019 – perhaps in season one’s October time slot. Paul refused to give further details about his character, but when pressed he did admit the role would bring “excitement, danger, suspense [and] honesty” to the show. I think we would all expect the first three, but “honesty” is an interesting choice. Perhaps he will play a Delos employee who admits the truth about their nefarious plans? Hopefully we will learn more in the coming months! In other less happy news, TheWrap is reporting that the ongoing wildfires in California have hit one of Westworld‘s filming locations. 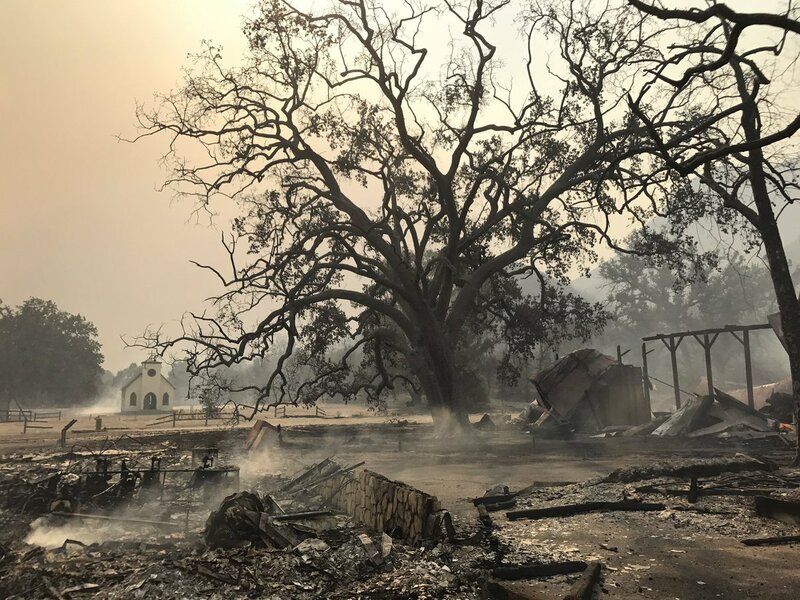 An HBO spokesperson told TheWrap that fires have hit the Paramount Ranch location which is used for Main Street, although filming is primarily done at Melody Ranch in Santa Clarita. Luckily since filming has not yet begun, no cast or crew were on site. “Westworld is not currently in production, and as the area has been evacuated, we do not yet know the extent of the damage to any structures remaining there,” according to the statement from HBO. We’ll keep you posted as more information becomes available. UPDATE: Evan Rachel Wood has clarified that the burned set was used for scenes in Escalante. Thanks to reader ManWithNoName for the tip! It wasnt Sweetwater. It was Escalante. Wyatt territory. You can see some of the damage here – amazingly the church appears to be untouched. New Westworld Cast Member Aaron Paul Teases Season 3! Although, of course, the continuing threat to human life and homes is far more important than that to movie sets. Thank you for letting us know! And of course you are correct that the ongoing threat is more important – I really hope they are able to get the fires under control and that everyone in CA stays safe. I wouldn’t count on that at all. Filming of season 2 took about 7 months and that season aired 3 months after the filming was wrapped. Early 2020 is much more realistic.